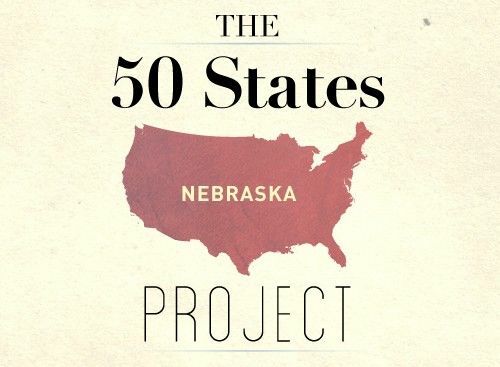 In The OFB 50 States Project, you the readers spill the beans about your state: the good, the bad, and the delicious. And thus provide “forever place” seekers (like yours truly) a useful resource in their search. We’d love to hear about your state! To be a part of this project, click here to fill out the form! What food best represents Louisiana? 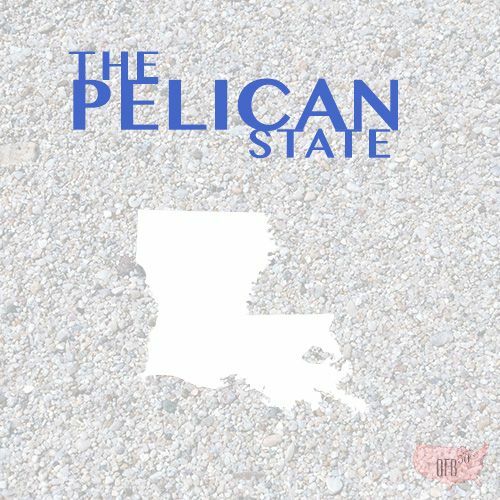 What song best represents Louisiana? How does LA refer to a carbonated beverage drink? If you could take a friend to one place in LA, where would it be? Best aspect about living in LA? Worst aspect about living in LA? Summarize your feelings about Louisiana in five words. Despite growing up in Alabama, I’ve never done more than just drive through parts of Lousiana. I know, sad. My cross country team in high school went to New Orleans each year, but my strict parents never allowed me to join in the fun. And so Johnny actually knows more about Louisiana than I do. He spent a few days in New Orleans on a business trip and came back raving about the airboat tour he went on with his company. To this day, he still ranks it as one of the most incredible wildlife experiences he’s ever had. 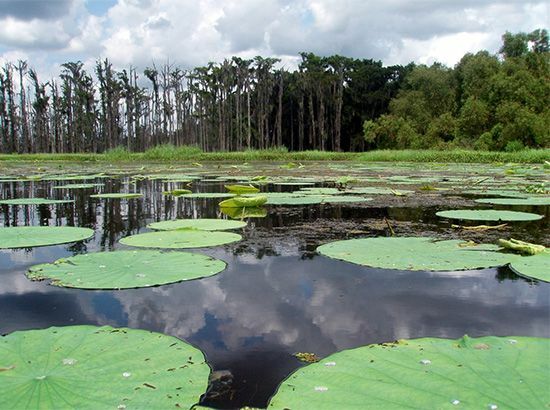 And so, if for nothing else, I’d love to visit Louisiana just for that. And admittedly, I’ll be cheering on the LSU Tigers next Saturday just to annoy my parents, who are huge Alabama fans! 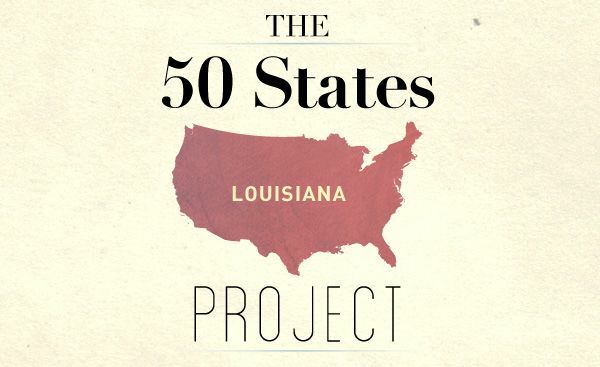 How did these answers line up with your perception of Louisiana? Have your thoughts on the state changed after reading this? Could you see it fitting your forever-place bill? Also, I’m itching to see Tennessee pop up!! I actually moved to Louisiana earlier this year from my hometown of Washington, DC. I am not a native (and people here ask me where I’m from because apparently I have an accent), but I agree with much of what was said here. Coming from a very highly educated area, there is a much less educated population here in Louisiana (vs. DC where such a high % of the population have Master’s degrees). Also, the point about people being less than active (aka fat) is true, as is the fact that the state is generally poor and rural (and poor here doesn’t look like poor in DC. It’s shacks and trailers on rural country roads rather than projects in the inner city). But the southern hospitality and culture are something awesome to behold, plus the food is amazing! People here are very nice indeed but its been a huge culture shock. Also, football here is a religion. High school football is televised on Friday, all of Baton Rouge shuts down on LSU home games on Saturday, and Sunday we cheer on the Saints. I do love their wonderful food. Now I feel like I have to go to Papa Roux for dinner (he was a Katrina transplant who opened up shop here and decided to stay). I don’t think I could it could be my forever place. I don’t do well with humidity and heat and in fact have enough trouble with the summers up here from time to time. You grew up in Bama – how did I miss that? I grew up there as well, and moved out west at 16. I’m not a huge fan of Louisiana because outside of the New Orleans / Baton Rouge area, it’s is a lot like parts of Alabama and Mississippi. I loved New Orleans. Especially Cafe Du Monde’s beignets! Of course I also love crayfish, gumbo, and po’boys. New Orleans is one of the best foodie cities I have ever visited. I have only driven through Louisiana but I’ve eaten plenty of food from the state. I just hope to eat it while in the state some day! My family loves it when I make gumbo…look forward to finding out just how close my recipe is to the real thing. I am an East Coast girl who fell in love with a boy from Louisiana. We were living in northern VA and decided we needed something new. After shopping around, we chose Baton Rouge. We lasted 6 months (and he is an LSU alum). I loved Baton Rouge and would move back if it weren’t for the job issue. I am a teacher and the public schools there defied anything I could have imagined. Plus, I was making 30 grand less a year. Between the two of us we were making about 50 grand a year less and neither of us were happy in our work. Louisiana is great, but it is a different world. One thing I have learned about moves. 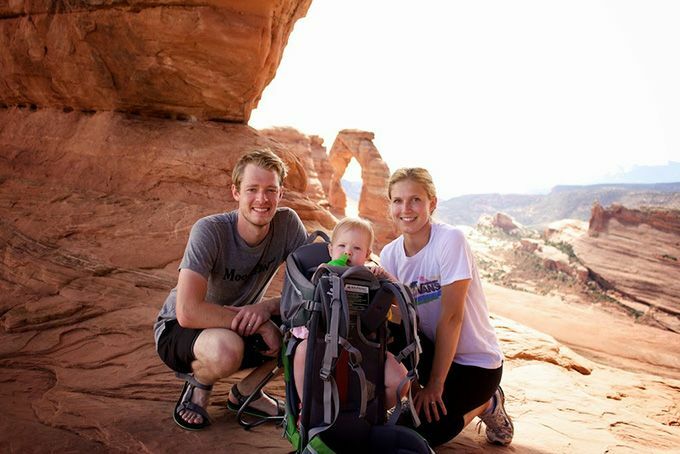 It is okay to admit you can love a place but can’t live there at that specific time in your life. Good luck. By the way – I love northern Virginia! As a South Louisiana native ( I’m one of those stereotypes who know nothing about anywhere above I-10 or West of the Mississippi River), I’ve missed home ever since I left. The best thing about the area I grew up is the hospitality. I know that this word gets overused and I worry that it may lose its meaning when used to describe Louisiana. People are friendly here. And I don’t just mean that people say “Hello!” Strangers invite you inside. People aren’t afraid of each other here. Strangers (most) will go completely out of their way to help you out in any way possible, and that’s a beautiful thing. Don’t refuse food. God forbid, don’t refuse food down here. being hungry is irrelevant. Someone else said it right, too-poverty does look different here. Most of the people here are blue collar workers -iron workers, plant workers (of the industrial sort), mechanics, carpenters, welders, etc. But on the pus side, everyone is helping each other out and using street cred to get by. It’s a joy of a place to be. New Orleans gets a bad rep a lot of the time, but as a single woman in her young 20’s who walked around New Orleans in the early morning hours on several occasions in a short dress with nothing but keys and a few bucks, I can tell you that you just have to know where to go, where not to go, and how to act. It’s a wonderful city. The ambiance is just the most relaxing, soothing, and musical thing you could ever want to experience. Maybe it’s one of the places you really have to visit to get a taste of how great this place really is, but everywhere else I’ve ever gone fails in comparison. if you hated NYC, like I did, maybe this should be on your map of places to visit. You’ll never EVER have a FedEx man make you cry. Look up the concept of “Lagniappe.” After growing up with that, NYC got crossed off my list completely. I just couldn’t live there. Not to say that customers are pretentious in Louisiana, by any means, we just like to be nice to each other. “I help your business grow, you give me a small gift to make me want to come back.” And it works wonderfully. I just found your blog today and I’m in love with it. Thank you for sharing all of your experiences! Thanks so much for your comment, Samantha! And thanks for your awesome input on LA. No better way to learn about other places than those who claim them as home.